Keep reading to get the recipe, learn who created these genius muffins, check out the daily giveaway (multiple signed copies of this person’s best-selling cookbooks), and double check that you’re entered into the overall grand prize giveaway. See the whole lineup of bloggers, blogs, and muffin recipes here. I’m happy to share a teenager-pleasing, family-pleasing, crowd-pleasing recipe from my good friend Elana of Elana’s Pantry! I had already been following Elana’s blog for a while when I started gfe at the tail end of 2008. So it was a delight that we actually get to meet each other at a blogging conference in 2009. The fact that Elana came with a large container of her gluten-free chocolate chip cookies in hand, made her super popular with all the gluten-free food bloggers! That was especially true during the cocktail hour when there were no gluten-free offerings. Thankfully, a chocolate chip cookie with a glass of wine works just fine! And the fact that Elana’s famous cookies are almond-flour based and, therefore, have a protein component made them a better accompaniment to a glass of wine than the usual gluten-free cookies. It wasn’t too much later that Elana generously hosted a mini gluten-free blogging retreat for several of us at her home in Colorado. 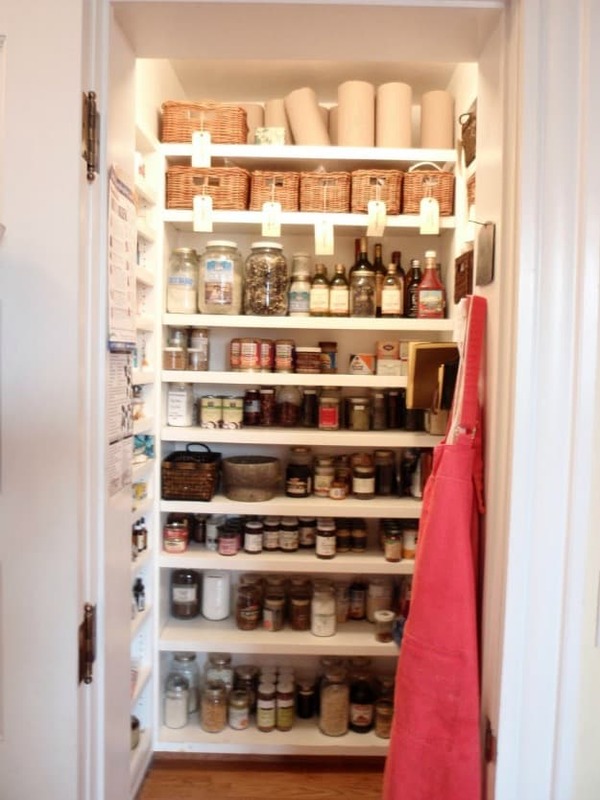 I came across my photos from that trip recently and thought you all might enjoy seeing Elana’s actual pantry, the original one anyway. The one from the home that she lived in when she started Elana’s Pantry. 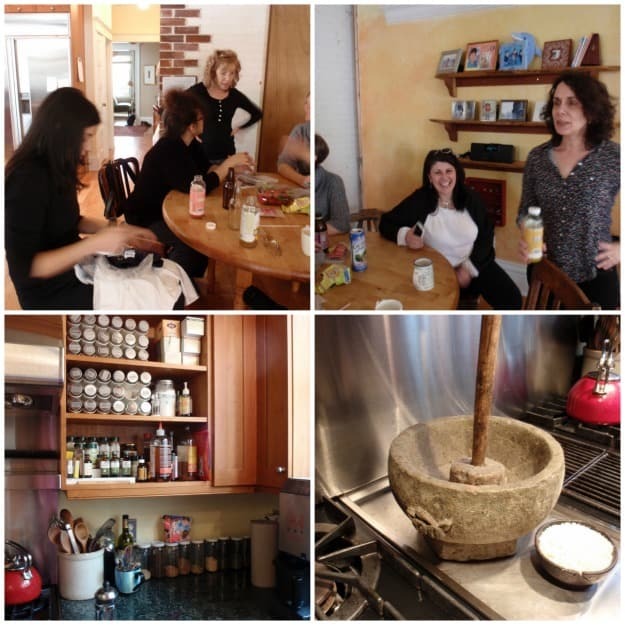 Elana has since moved to another home, but here are some snapshots of Elana with some of our gluten-free blogger friends in her “old” kitchen. You might even recognize some of the faces you see here. (You won’t see me though as I was behind the camera for all of the photos taken by my camera.) And have you ever seen a more ginormous mortar and pestle? I loved it! In addition to sharing so very many outstanding recipes with us over the years, Elana has openly shared her health journey. Each of us is different in our health needs, of course, but one thing that most of us with celiac or non-celiac gluten sensitivity have is multiple health issues. Sharing our health issues and symptoms—and our strategies for dealing with them—with each other can be helpful. Read more on Elana’s About page and via her health updates. Elana’s first cookbook still remains a classic! It put blanched almond flour on the map for gluten-free, grain-free cooking, and, later, for paleo lifestyles. Honeyville Almond Flour is the blanched almond flour that Elana recommends and you’ll find her aforementioned chocolate chip cookie recipe right on the back of the bag! Note that Elana has also donated this wonderful gift basket for the grand prize giveaway. It includes a signed copy of all three of Elana’s cookbooks (The Gluten-Free Almond Flour Cookbook, Gluten-Free Cupcakes, and Paleo Cooking from Elana’s Pantry), 1 lb chocolate chips from Nuts.com, 1 lb coconut flour from Nuts.com, and 3 lbs Honeyville blanched almond flour. See all 10 prizes here. Shown are the top six prizes (per monetary value—they’re all tops in my opinion). Again, this giveaway is open to everyone, everywhere! Originally published March 30, 2018; updated November 7, 2018. Paleo Cooking would be my choice. I love good Paleo recipes. I totally need the Paleo cook book help!!!! 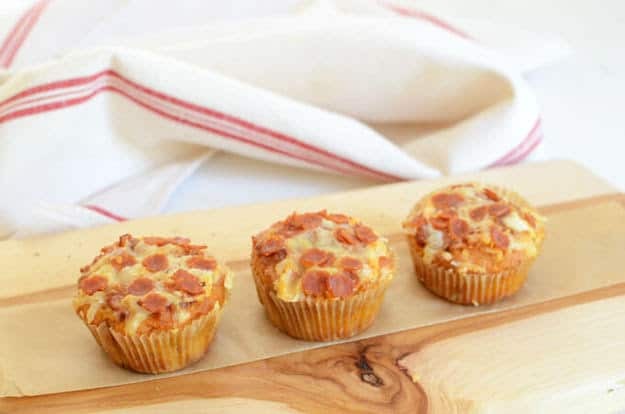 These pizza muffins look amazing! Wish I had done this for Friday night pizza night tonight. I would love to win the Paleo cook book. 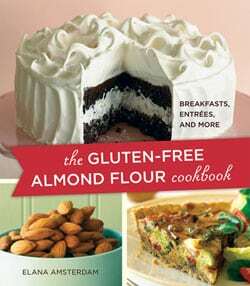 I would love to win The Gluten-Free Almond Flour Cookbook. I have her first book, it was the first one I got when I went gluten free, so I’d like the paleo one. This is a tough choice but I’d have to choose the almond flour cookbook! Thanks for the opportunity! I love to bake with almond flour and could really use a good cookbook! I’d go for the Paleo cookbook as I already have the almond flour cookbook. Definitely going to try these for an after school snack!!!! No cookbook necessary!! I follow Elana!! I love almond flour so that cookbook would be wonderful! I already have the gf almond flour cookbook, so I’d like the Paleo cookbook. Brilliant recipe! My kids would eat these for breakfast! I would love to win either item. thank you for the recipe! Yet another interesting blogger and good looking cookbooks – almond flour one especially. Look like some savory muffins with pizzazz. Thank you for another chance at the Blendtec!! A breadmaker has always been on our list of things to buy, but we never seem to pull the trigger on actually getting one. I’ve been following Elana’s Pantry for years so I am familiar with most of her “older” recipes. 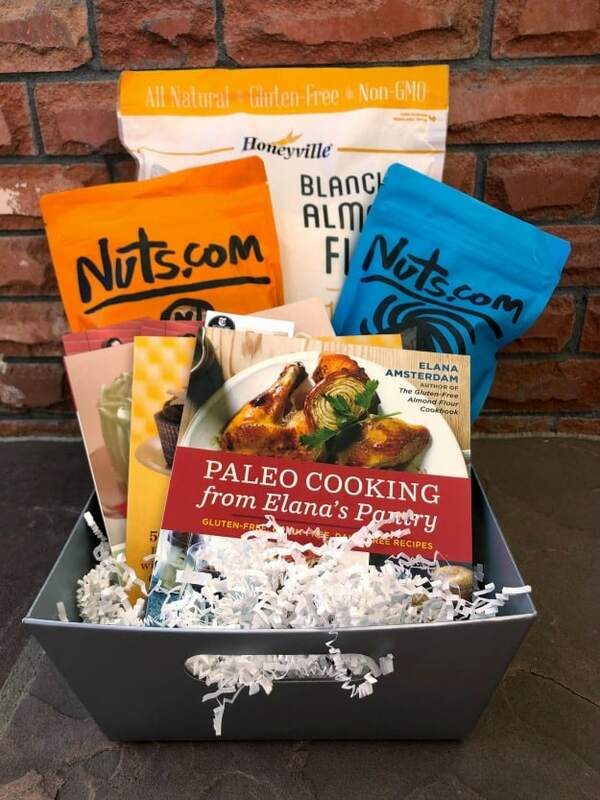 Although I would love to win any of Elana’s cookbooks, I am less familiar with Paleo Cooking. She has made baking enjoyable again! I have Elana’s almond flour cookbook and use it — as well as the recipes from blog — all the time. Like, all the time. I’m sure her Paleo cookbook would get lots of use in my kitchen, so that’s on my wish list. I’ve also made the pizza muffins you profile in this entry and can attest that they’re spectacular! I would like the paleo book, if possible. Thank you! I want them all!!!! 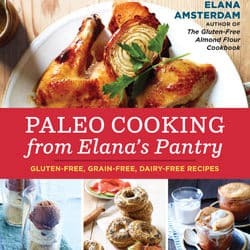 I do find the Paleo Cooking from Elana’s Pantry would be interesting – although the Cupcake one is also calling my name! The Gluten Free Almond Floyr cookbook would be great. I must try these pizza muffins. I’d love to make those Pizza Muffins for my partner who loves pizza but still wants to eat healthy and gluten free! I’m really interested in Paleo cooking book to expand my cooking repertoir. 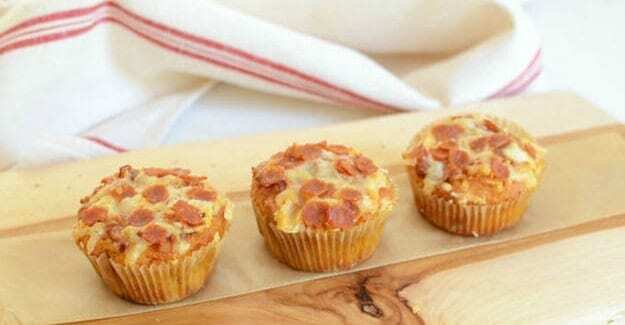 Have never tried making a savory muffin before, but pizza muffins sounds wonderful. Would love the Paleo cookbook. Have been following Elana’s blog for several years but must have missed this one. The paleo cookbook would be awesome!! I love that there are so many great low carb websites now to help find great recipes to make and keep dinner time interesting. These look absolutely delicious Elana! I’m sure my fussy youngest son would gobble these up! 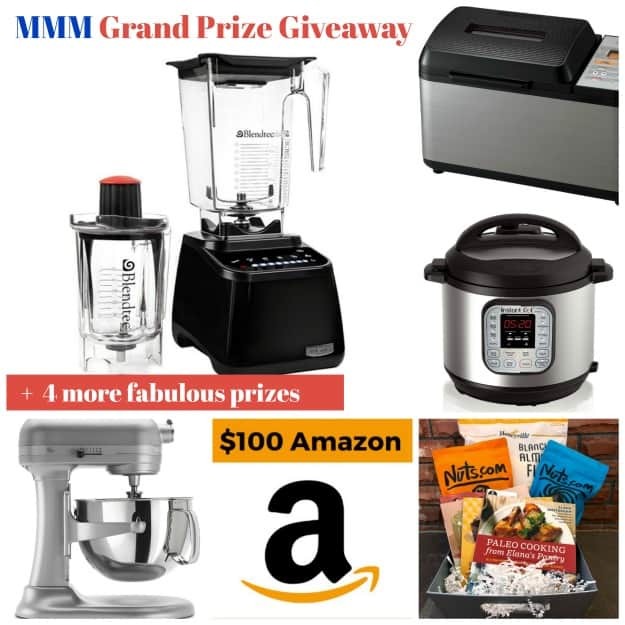 I Would love to win Elana dairy free gluten free books and the blentec!! They both look great, but I would prefer the Paleo Cooking cookbook. Wow, what a prize! Almond flour cookbook sounds like a great add to my shelf. Pizza and muffins in one? Sign me up! Any cookbook by Elana would be a winner, but my first choice would be Paleo Cooking. I bet my non gf eaters would love these! Elana’s Pantry always has some good recipes. The Paleo Cooking cookbook or the basket would be great! I will share what I can’t use, I’m talking about you almond flour. Or I will try to reintroduce almond flour soon! I know a couple of my people that would so love these muffins.